We are Reading for Fun! 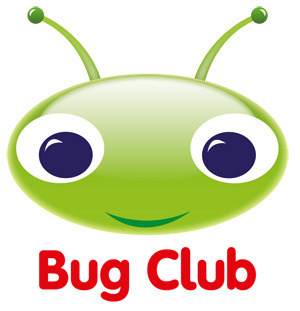 At Royal Cross Primary School we use Bug Club.to support our pupils reading in school and at home. Your child has brought home an information leaflet about this reading scheme and the school log in code, your child's username and password. Please see your child's class teacher if you require this information again. The site has been demonstrated to the children and your child's class teacher is be able to log into the teacher page to see which books each child has read, whether they answered the quiz and look at the smiley face to see whether your child enjoyed that book. They are also able to allocate new books to your child, when they have run out of books to read or they feel they need a different book. Although there are several books for your child to choose from please do not feel that they all have to be done in one night, they don't. It is far better to take your time and choose one to share together and use this to supplement the reading book that is in your child's book bag. Please don't hesitate to ask your child's class teacher if you have any questions or need help accessing the site. At Royal Cross we use a system of Visual Cues to support the teaching of phonics for reading and writing. Visual Phonics is one of a number of strategies that we use with pupils to support their development as independent readers.